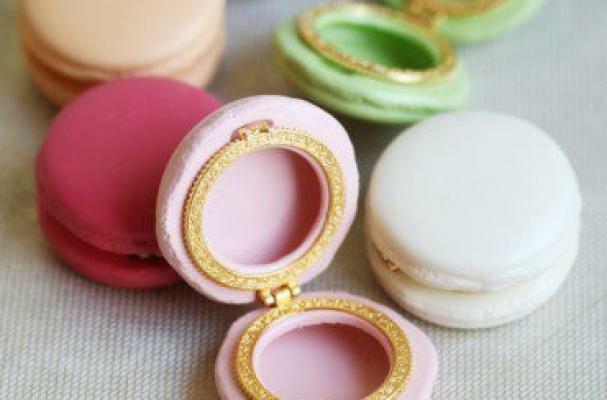 Macaron trinket boxes designed by Chambre de Sucre are a sweet storage container. Measuring 2 1/4 inches in diameter, it is perfect size to hold your favorite set of earrings or necklace. You can select from a variety of flavors including summer rose, peach, strawberry, lemon, lavender, and pistachio (available online for $13.95). Although not edible, these beautiful macaron boxes are sure to delight.